Kelsey’s is an original Canadian roadhouse restaurant serving mouthwatering dishes and thirst quenching drinks. Kelsey’s extensive food menu includes appetizers, sandwiches, salads, wings, burgers, steak, ribs, chicken, and pasta. Taking that special person on a dinner date to Kelsey’s is always a hit with their Dinner for Two menu. Seasonal food items with special pricing are available year round. A great meal is always accompanied by a thirst quenching drink. Kelsey’s is known for their margarita mixed drinks and their famous Beerita. Don’t forget their daily drink deals and other specialty drinks plus lots of cold, cold, cold beer. Check out the latest Kelsey’s menu with prices. What better way to show your appreciation than to give the gift of food. A Kelsey’s gift card is perfect. You can purchase at your favorite location or you can design and customize online and send an e-card to someone’s email inbox instantaneously. We all like to be rewarded. Why not get rewarded for enjoying the food at Kelsey’s. Sign up for the Kelsey’s EKLUB and watch the rewards start rolling in. All you need is an email address and a few minutes of your time. Who knew? We understand life can be hectic some days and making time to visit Kelsey’s can sometimes be difficult. That does not mean you can’t enjoy their great menu items at home. Take a look at the Takeout menu and choose your favorites. Call in your order, set a pick-up time and there you have. Kelsey’s on the go! How Sweet it is. Watching your daily calorie intake is important in the quest to eat better and live healthier lives. Kelsey’s is doing its part by providing guests with a nutrition guide that indicates calories for each of their menu items. Food allergies or restrictive diets should not hold you back from eating at Kelsey’s. Be sure to take a look at the Allergy guide on the website before you head on over. It details the various allergens found in their food items. Kelsey’s also offers a gluten free menu to choose from. If you are an outgoing, high energy, honest individual that is not afraid of hard work, then Kelsey’s wants you. Start your career at Kelsey’s and watch the opportunities open up. Check out the official website to learn more about the Kelsey culture and current openings. Read up on their management training program that will prepare you for great things. Kelsey’s was started in 1978 in Oakville, Ontario by Paul Jeffrey, an experienced veteran of the hospitality industry. In 1999, Cara Operations, a Canadian-based food service company, purchased Kelsey’s restaurant chain. Today, there are 88 Kelsey’s locations in Canada, with corporate headquarters located in Vaughan, Ontario. Kelsey’s is active on several social media platforms. Be sure to follow and connect to get the latest news and happenings. Cara Operations also owns the following restaurant brands: Casey’s, Milestones, Montana’s, Harvey’s, Swiss Chalet, East Side Mario’s, Prime Pubs & Bier Market. 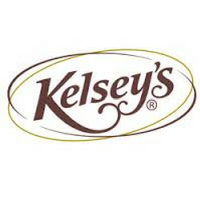 To learn more about Kelsey’s, you can visit their official website.